Storacell SlimLine 4 AAA Battery Caddy are the perfect solution for storing spare batteries at home and on your travels (complies with flight regulations). 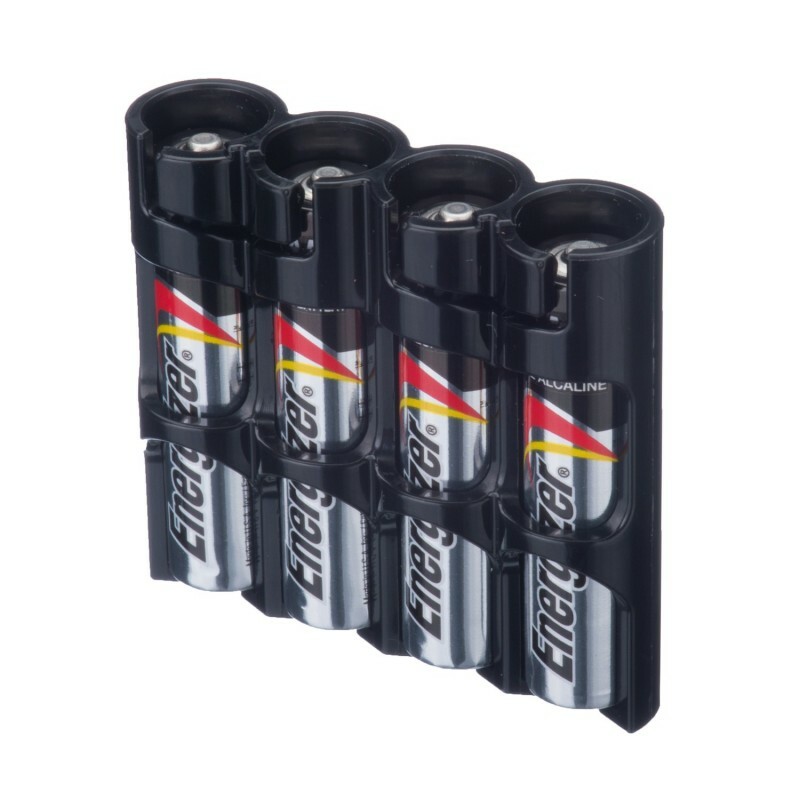 Storacell SlimLine 4 AAA Battery Caddy will help to organise your batteries and they are tough, protecting them from damage and shorts. Storacell SlimLine 4 AAA Battery Caddy are available in four colours. Storacell comply with the Safe Travel Regulations issued by the U.S. Department of Transportation and meet the requirments of the CAA for carrying spare batteries on Flights. See the download section below to read how the rules may effect you. Available in a range of colours: black; orange; yellow; military green; clear and moonshine. Moonshine models glow in the dark. Ideal for photographers on the move. Ideal for recycled batteries to transport them safely between charges.